This is a slim book and potentially a quick read, but don't be misled, it aims high by offering a potential solution to the current economic crisis. It is divided into four sections – "why we need to do something", "opening the door to new possibilities", "the power of just getting on with it" and finally "daring to dream: where we could end up". Hopkins explores these topics with a mixture of theory, practical advice, real life examples and touching personal stories. The central thesis is that there is a radical alternative way forward. First he gives an explanation of why the old orthodoxy of continued economic growth will not only fail, but make things worse as it would hasten climate change. Instead of this nightmare scenario Hopkins proposes what he calls "the new Big Idea" – of "local resilience as economic development". This is indeed an extraordinary claim; and the more so because it also has the potential to address other horrendous consequences of unfettered economic growth such as climate change, species extinction, habitat loss, and the utter reliance on oil based technologies for most of the food and consumer goods taken for granted in the 'western world'. Analysis from three Local Economic Blueprints prepared by groups in Totnes, Hereford and Brixton leads Hopkins to his conclusions regarding the potential for affecting the wider economy; whilst observations from the Transition movement worldwide over the last (nearly) seven years demonstrates the profound effects experienced by communities. Local projects have grown from small beginnings and made links with local institutions and businesses resulting in new jobs created, goods and services available closer to home and community bonds being strengthened. The net result is that power is transferred back to communities and away from globalised corporations; whilst the spirit of a place can change from despair to hope. On a practical level how to start a group and inspire others to join in, how to make things happen are all covered with lots of additional resources listed at the end. He then goes on to outline just a few of the many notable projects that have been undertaken by communities in transition. I won't give anything away as I want you to read it but they include projects on energy, transport, food and farming, waste, fair trade and economy, re-skilling, green building and more. There are community power stations, local currencies, community bakeries, food markets and shops and much more. Things that I guess most people would like to hear about in the traditional media, heart warming, inspiring stories about ordinary people making a real difference. I enjoyed reading them all and particularly finding out about DE4 Food in Derbyshire. 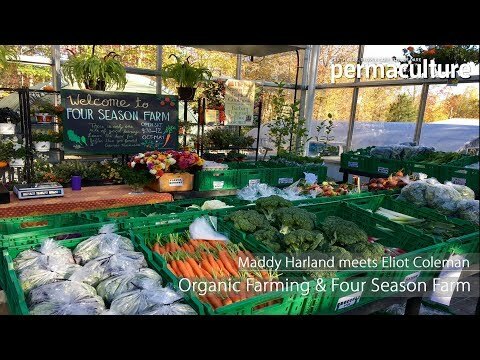 This is a food hub offering a real and affordable alternative to supermarkets which makes back garden food growing for sale a viable proposition. The theme that emerges repeatedly from people's own stories is that they start to see that they are themselves the key; that their own actions can lead to change. It then transpires that people sense that they are part of something much bigger and that once this new path is begun there is enormous potential for it to gain momentum and have a much, much greater impact than anyone ever envisaged. Personally I love this book particularly as it cleverly balances the human and the economic aspects of both problems and solutions. I am a huge fan of Transition and see enormous hope and promise in it. Overall it is a very 'Big Idea' neatly encapsulated in a small easy to read book. Anni Kelsey is a member of her local Transition group and a keen edible perennial gardener. She is the author of Edible Perennial Gardening - Growing Successful Polycultures in Small Spaces which will be published by Permanent Publications in Spring 2014. To SAVE £1.00 buy The Power of Just Doing Stuff direct from us at our online shop. Click HERE.